I recently get inspired by my brother’s girlfriends grandma to make Indian dishes. 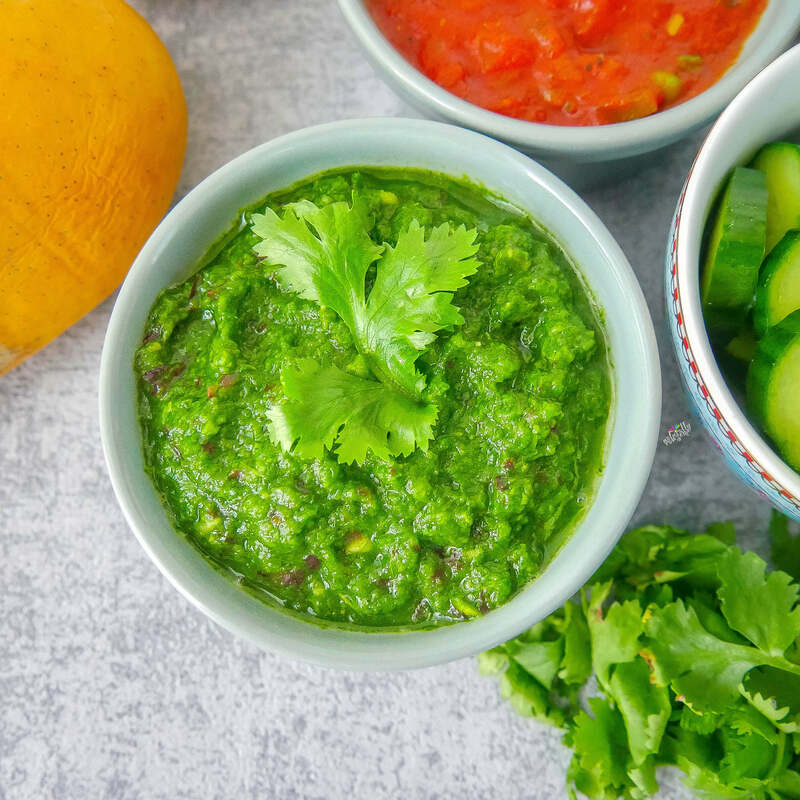 The Indian cuisine has always spiked my interest with all of those colorful spices and aromas. 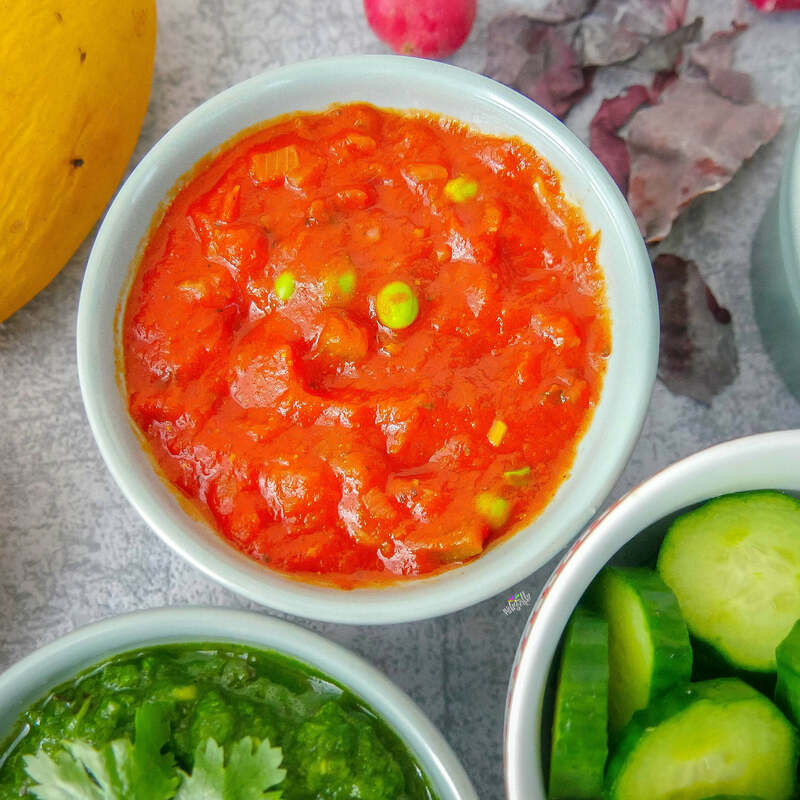 But not only is it colorful but also pretty healthy, as they use a lot of healing spices and ingredients in their food like turmeric, ginger, onions, garlic, etc. Most of the dishes are also vegetarian. Did you know that most vegetarians worldwide live in India: Almost nowhere in the world is so little meat eaten. Many food tabus are related to their faith. Hinus, who make up about 80% of India’s population believe in rebirth. And in order to eat meat another creature needs to be killed. 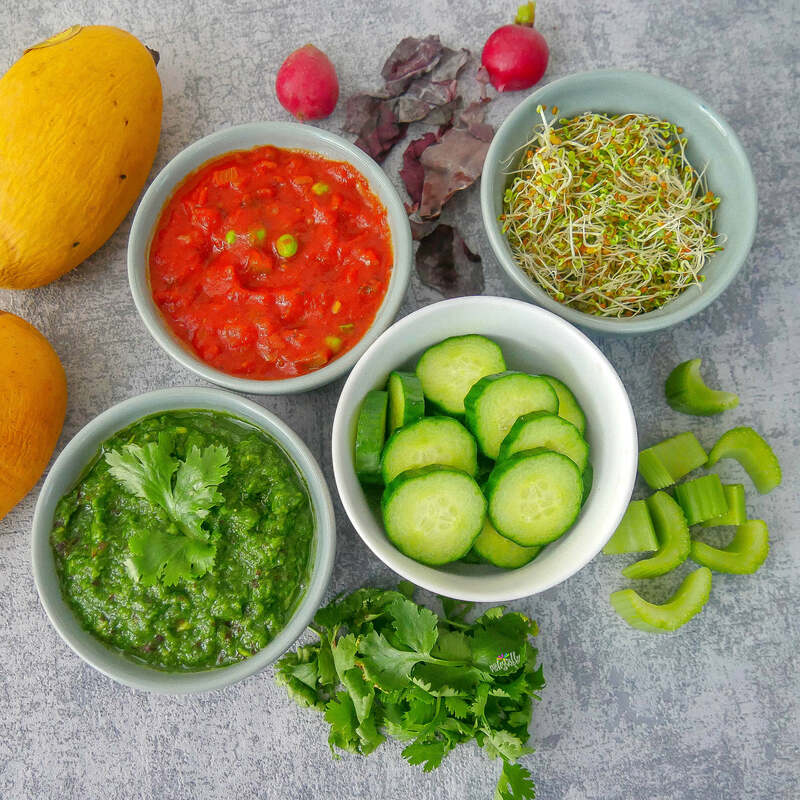 Roughly chop up all ingredients for the arugula pesto and blend them up until well combined. Transfer pesto into a bowl. For the tomato relish dice shallot and cucumber. Heat 1/2 cup of water in a small skillet and steam them for 1-2 minutes. Then add mustard seeds and garam masala. Steam for another minute and add tomato sauce & peas. Steam for 2 minutes. Add rice milk and season with curry powder. Finally add pickled cucumber. Transfer relish into a bowl. For the carrot curry dip dry roast fenugreek & cumin seeds, add chopped carrots and a little bit of water and cook until tender. Blend up carrots with tomato sauce, coconut-rice milk, curry powder and curry leaves. Add back into the pan and let it simmer for 2 min. 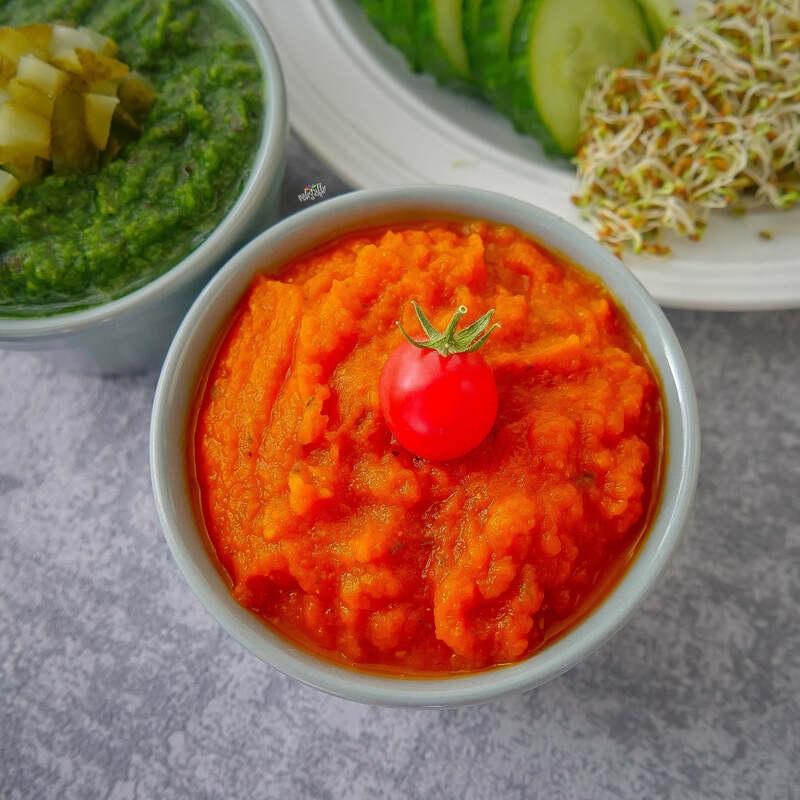 Serve the pesto, relish & carrot dip with dippers of your choice (cucumber, celery, carrot, pepper, lettuce leaves,…).